Kentucky State University recently announced its new head football coach. Charlie Jackson, an assistant coach for the Atlanta Falcons in their 2017 and 2018 campaigns, has been named the University’s new coach. Jackson says his goal for Kentucky State University football is simple: to compete against perfection. “Every member of our football operation will demonstrate an all-consuming mindset to maximize his or her God-given potential, and we will do the same as a team,” Jackson said. Jackson, a veteran Air Force officer, has a long history with the National Football League (NFL) and National Collegiate Athletic Association (NCAA). 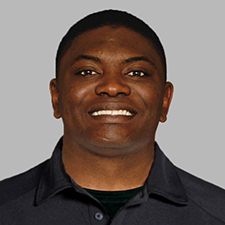 Prior to coaching with the Falcons, Jackson served on the NCAA national office staff as a member of the college football rules enforcement group. He led and was directly responsible for the football rules development efforts in the Southeastern Conference (SEC). His background includes multiple defensive coaching roles with the Green Bay Packers and Denver Broncos, as well as coaching fellowships with the Atlanta Falcons and St. Louis Rams. He also served as a college scout for the Seattle Seahawks organization. He has collegiate experience at Colorado, UCLA, Utah State, Buffalo, and the United States Air Force Academy. Jackson accepted an appointment to the United States Air Force Academy, where he participated in football and indoor track and field. During his football playing career at Air Force, the Falcons were a consistent member of the national top 25 rankings, including a top-10 final ranking and conference championship in 1998. President M. Christopher Brown II affirms that it is a new day for football on the hill. Jackson earned a bachelor’s degree in management from the United States Air Force Academy. He has a master’s degree in management and sports studies from California State University, Long Beach. Jackson is a member of the Fellowship of Christian Athletes (FCA). His professional associations include the American Football Coaches Association (AFCA), NFL Coaches Association (NFLCA), National Association of Collegiate Directors of Athletics (NACDA), National Association of Athletics Compliance (NAAC), Minority Coaches Association of Georgia (MCAofGA), and the National Association of Collegiate Women Athletics Administrators (NACWAA). Athletic Director Thomas is elated to welcome Coach Jackson as the next leader of the Thorobred football program. In accordance with the board’s bylaws, the Kentucky State University Board of Regents will approve Jackson’s contract at its next quarterly board meeting in March.